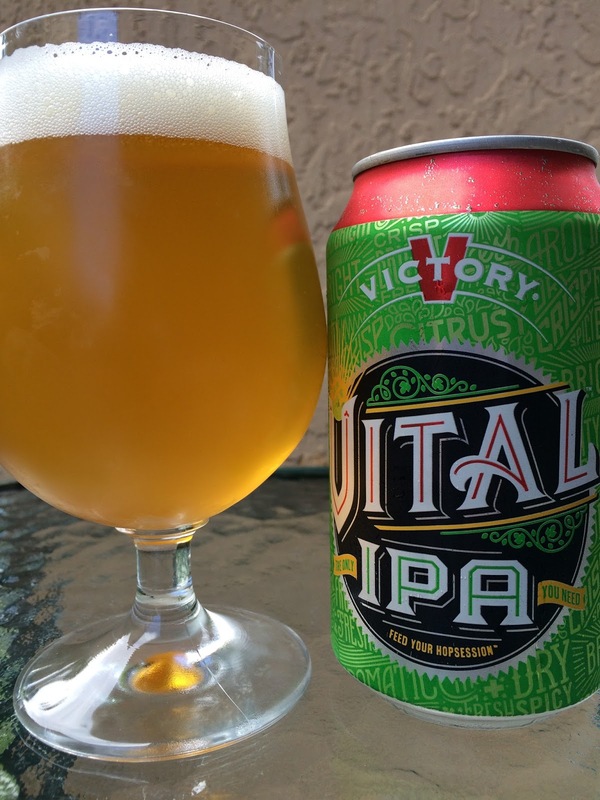 Wasn't sure if I was supposed to open that box of Victory's Vital IPA cans yesterday at the liquor store, but the cashier didn't seem to mind. So I guess I'm good. The can has a nice design, featuring a green background with a pattern of words you may use to describe this beer. "The Only IPA You Need; Feed Your Hopsession!" are also phrases they use. 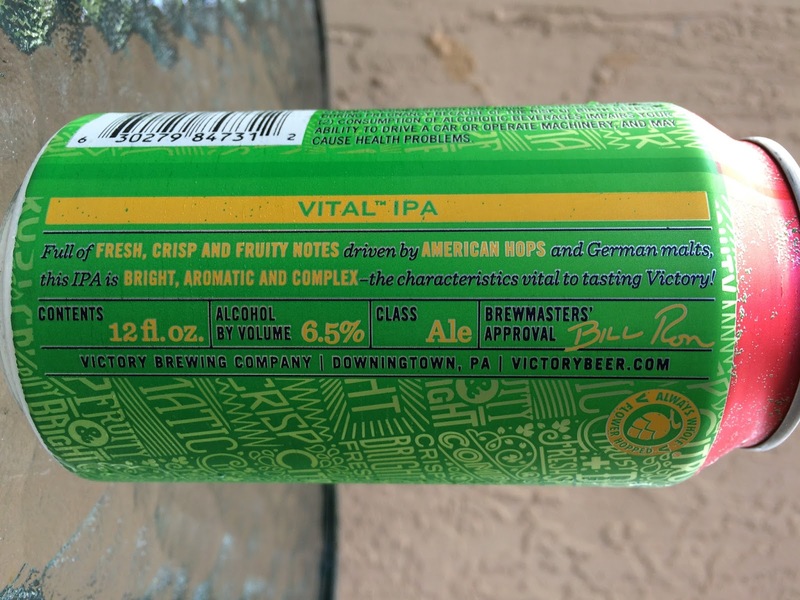 On the back of the can are some stats and a few sentences to set your expectations. 6.5% alcohol. Very fruity and juicy aroma, full of tropical mangoes and citrus. Flavors follow with a huge does of tangerines and mangoes. Some piney bitterness adds a little balance. Orange and lemon citrus zest also provide some needed balance to the initial sweetness. Nicely tangy throughout. Very juicy and fresh with a dry finish that shows a touch of alcohol. The aftertaste is full of fruit that lingers long after each sip. Check it out for sure!